Last August, Kevin Hart performed his standup act in front of 53,000 people at a football stadium in Philadelphia. The fruits of that concert won’t be on movie screens until October, but you can get a preview in “Central Intelligence,” where Hart’s performance is more than broad enough to span the distance between end zones. 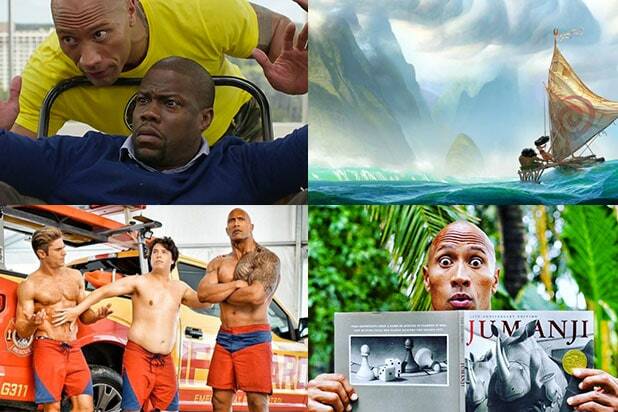 “Central Intelligence,” written by director Rawson Michael Thurber with Ike Barinholtz and David Stassen (“The Mindy Project”), is structured as a classic comedy of opposites: Calvin (Hart), a high school golden boy turned unremarkable grown-up accountant, is thrown together with Bob (Dwayne Johnson), a former fat kid who now looks like, well, The Rock. But it’s also a study in contrasting acting styles. Johnson is sly, confident, always holding something in reserve. Hart never seems to stop moving, pouring his manic energy into every line as if he can feel the audience’s attention about to waver. Johnson makes it look easy; Hart wants, and maybe needs, you to see him sweat. 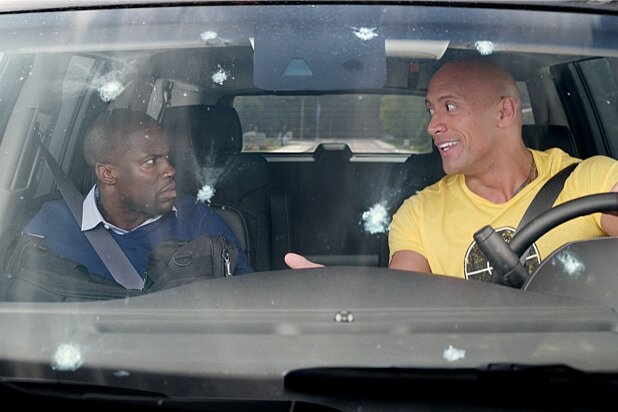 Hart and Johnson — or, as the film’s advertising calls them, “a little Hart and a big Johnson” — are well matched to their “Central Intelligence” roles. Hart’s ceaseless jitters fit a former “Most Likely to Succeed” who’s never lived up to his potential, although when he tries to play Calvin’s downtrodden hopelessness, he lapses into a pout. And Johnson makes a meal of Bob Stone, formerly Robbie Weirdicht, an imposing hunk (in every sense) of a man whose psyche was arrested in the mid-’90s. Bob jams to En Vogue and Cypress Hill, sports a leather fanny pack, and cherishes a sky-blue tee with a unicorn iron-on. (He explains, “I’m big-time into ‘corns.”) But when an surly bar patron picks a fight with him — somewhat implausibly, even with a dismissive reference to “gym muscles” — another side of Bob emerges: brutal, aggressive, quick with a blow to the larynx. “You’re like Jason Bourne in jorts,” Calvin exclaims. Johnson plays Bob as something close to an amiably deranged stalker. The ostensible reason for him seeking out Calvin is to secure his assistance with tracking the buyer behind a top-secret online auction, but it’s also the culmination of 20 years he’s spent idolizing Calvin from afar. “Central Intelligence” seems unsure, or at least conflicted, about how far to play this angle: There’s never been a movie more in love with Johnson’s body, which gets poured into skin-tight outfits and pajamas that strain to cover his chest; Bob loves “Sixteen Candles,” but he’s still coming to terms with the fact that he can’t be Molly Ringwald. But whenever things get too close to intimate, Calvin’s wife (Danielle Nicolet) turns up just to remind us he’s married, or Hart sprinkles in just a touch of gay panic. “Jason Bourne in jorts” sounds like a phrase right out of a pitch meeting, and “Central Intelligence” often feels like it never got past that initial outline. Calling the plot, which involves a stolen flash drive with satellite codes and the search for a rogue CIA agent, sketchy would be an insult to sketches. 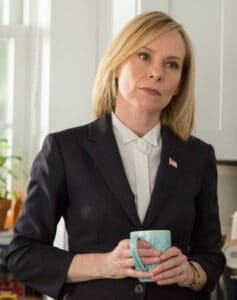 That goes for the other characters as well, including Amy Ryan as the agent in charge of the hunt, and, barring a few well-chosen cameos, no one else of any note. Not every espionage caper needs to span the world, but this one feels awfully depopulated, and for a movie that’s at least nominally an action comedy, the action scenes are something of a chore. Knock out everything else, though, and you’ve still got two old pros riffing off each other. That’s the heart of “Central Intelligence,” and, really, the only compelling argument for its own existence. It’s not the Wimbledon finals, but it might be a hard-fought semi, where Johnson fires off spin-heavy serves and Hart mashes them back over the net, meeting finesse with determination and drive. Although Johnson and Hart are in talks to share the screen again in next year’s “Jumanji” remake, “Central Intelligence” doesn’t feel like the birth of a great comic duo — more like a blind date that goes a little better than expected. The chemistry’s not there yet, but let’s give it another shot.